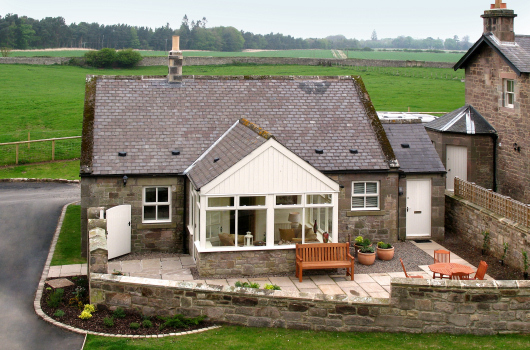 Fox Cover is a luxury self-catering holiday cottage superbly located on Doxford Estate near Alnwick, Bamburgh, Craster and Seahouses in Northumberland. 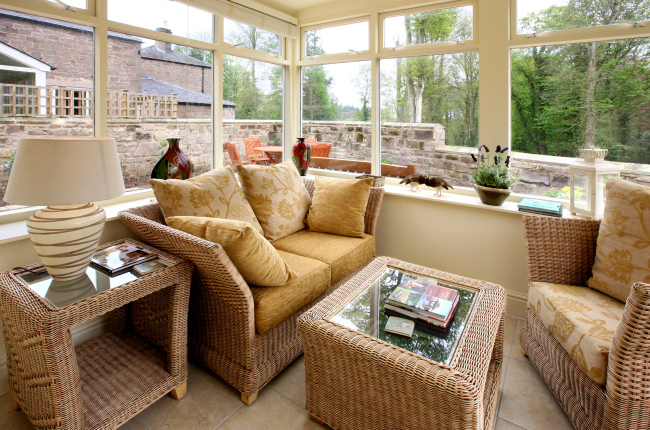 It is a really special cottage for a couple desiring comfort, tranquillity and style, together with the space to experience all that a holiday in Northumberland has to offer. Unlike most holiday cottages for just two, there is masses of room, making this a truly exceptional holiday retreat. 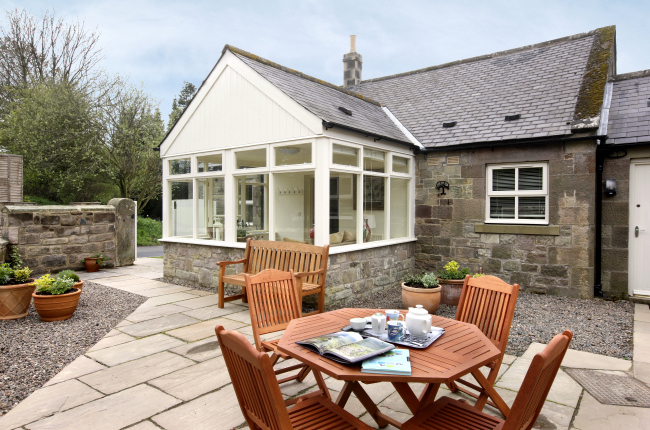 Fox Cover is an ideal holiday cottage for a couple and offers outstanding luxury self-catering accommodation for a relaxing get-away-from-it-all holiday in Northumberland. This is as good a one-bedroom holiday cottage as one can find anywhere in the UK. There is masses of space, superb quality, lovely views, a conservatory with a view to Doxford Lake, a large sitting room and a paved private terrace. Formerly the estate gamekeeper's cottage, this stylish holiday cottage was totally gutted and remodelled in 2009. Fox Cover is entered through a conservatory into a huge open-plan living area measuring 29 feet in length. 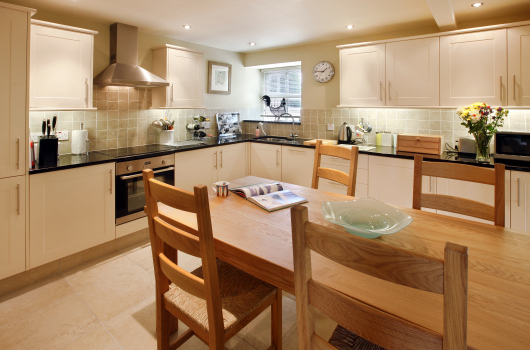 One end of the open-plan area has a fully-fitted kitchen with granite worktops and tiled floor with an oak dining table and chairs to seat four people. 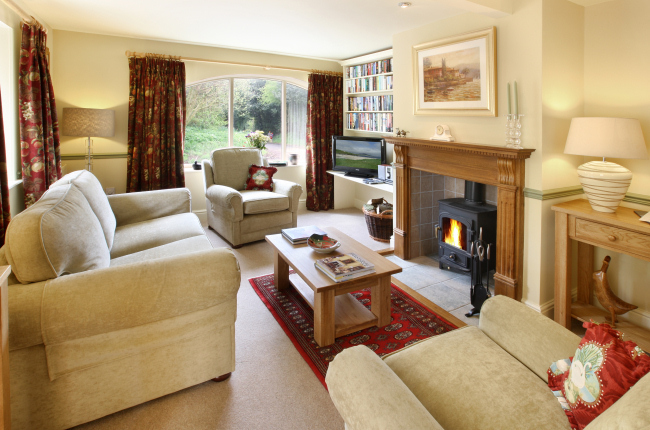 As in all the cottages at Doxford, we have thought of everything a cook could possibly require for a superb break. The light and airy sitting room has a wood-burning stove. There is a flat-screen LCD television with Sky, DVD player, CD player, Wi-Fi, radio, good books, and a stylish choice of pictures, prints and fabrics. 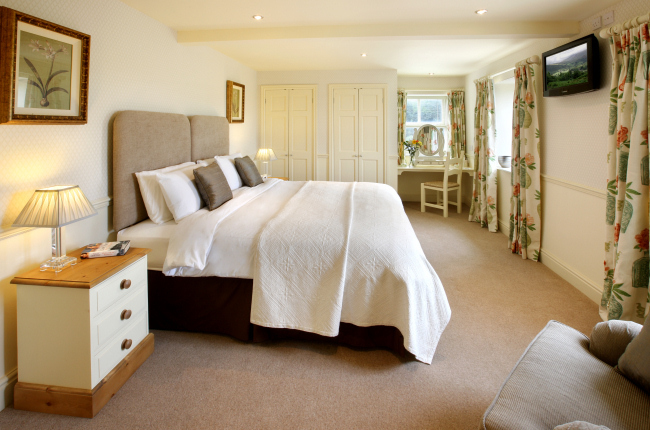 The double bedroom is superbly appointed and offers a choice when booking of either a super-king-size double bed or two single beds. 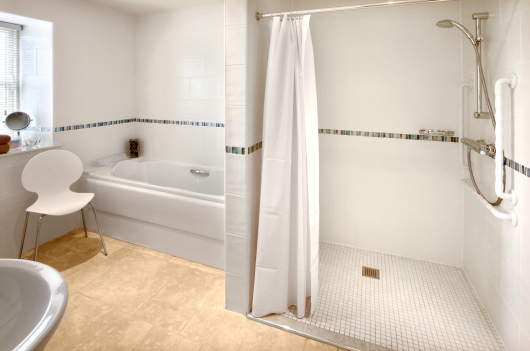 The en-suite bathroom has a bath and a roll-in shower, toilet and basin. For disabled guests, there is ample room for a wheelchair to turn.